Child support in Texas is based on a formula, but child support orders can be complicated. There may be questions about the true earning potential of each parent. In cases of shared parenting, child support may become a complex question of how to apportion each parent’s obligation to provide for their children. Arriving at an appropriate amount of child support is a legal matter that requires attention to detail. If you’re going through a divorce in Katy and child support is on the table, you need the assistance of an experienced family law attorney. Adams Law Firm has been practicing for over 35 years. We have the knowledge and skills necessary to ensure the child support agreement is fair and accurately reflects your financial situation. To learn more about how we can help you, contact our Katy child support attorneys today at (281) 391-9237 or online to schedule a consultation. Having a Katy child support lawyer can be critical to ensuring you come to a child support agreement that reflects both Texas law and your financial circumstances. An experienced lawyer reviews the case to determine how Texas child support laws apply. They evaluate the incomes of each parent, the parenting time ordered in the case, and all the other factors that may impact a child support claim. When there is a question as to the appropriate child support payment, a lawyer also helps parents negotiate child support amounts. If the parents cannot agree and the decision will be left to the court, the attorney uses court rules to prepare admissible evidence and create arguments to ensure you get a fair deal. Without a lawyer, the agreement you craft may not be legally binding or specific enough, or your ex-spouse may more easily take advantage of you. Why Choose Adams Law Firm? If you need help with a child support order in Katy, Texas, the attorneys at Adams Law Firm provide legal representation that helps you advocate for the best interests of your children and your rights under Texas law. 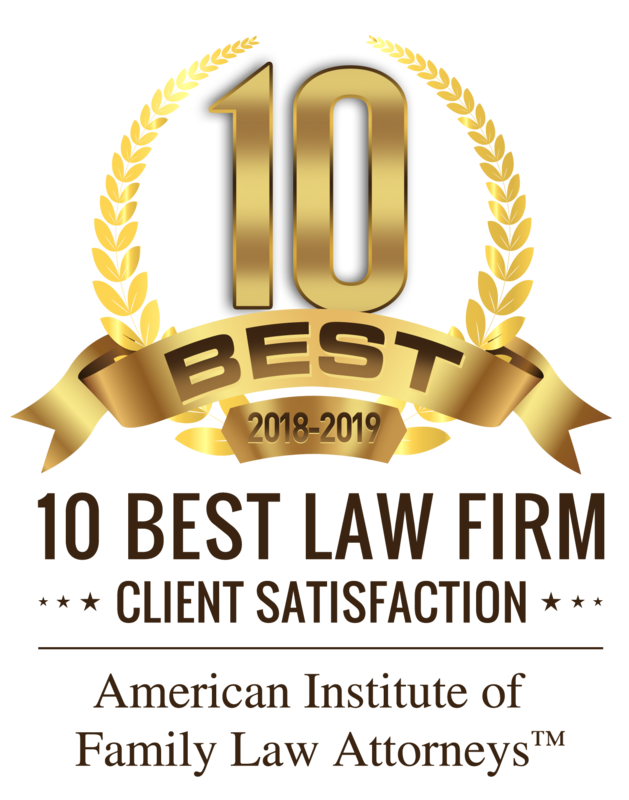 We have been practicing since 1977 , and in that time we have won numerous awards and accolades, including being named Reader’s Choice Best Law Firm in Katy by the Katy Sun. We work to gather the facts to determine what the amount of support should be in each case. Whether a parent pays child support or receives it, the Adams Law Firm attorneys work to help deserving clients ensure that their rights are protected under Texas law. Our child support attorneys in Katy are here to help you with all your child support needs. Whatever the circumstances of your case, our attorneys will ensure that the law is applied in your favor and that you do everything you can to arrive at a child support payment that works for you and your children. Our attorneys are compassionate, caring, and determined to advocate for you and the minor children involved in the case. We have provided answers to some of the most frequently asked questions about child support. For answers to more specific questions, please call us at (281) 391-9237 and speak to one of our child support attorneys about your situation. Child support in Texas is determined by a state formula, which looks at the income of the noncustodial parent. There are allowable deductions for taxes, union dues, and other reasonable, mandatory expenses. Once the court arrives at the net income for the noncustodial parent, it applies a percentage multiplier based on the number of children who are a part of the court order and the number of other children that the parent must support. The result is the amount that the parent pays to the other parent in child support. There are no gender preferences in Texas child support law. There are also no preferences based on marital status. The same child support formula applies whether a parent is male or female or single or married. The Texas child support formula applies a maximum net income limit of $8,550. Beyond $8,550, the parent who receives child support must convince the court that the children have needs beyond that amount. What counts as income for a child support calculation? The definition of income for child support in Texas includes any resource that a parent has available to provide support. The most common type of income is pay for work, which can be in the form of an hourly wage, a salary, commissions, or bonuses. If a parent receives tips or has seasonal variances in pay, the court uses a monthly average to set the child support amount. Interest payments, a housing allowance, pension payments, and even disability payments may count as income. Needs-based assistance, such as government-provided food assistance, does not count as income to calculate child support. In addition, if a child receives social security income, those amounts may be offset against a parent’s child support obligation. The question of a parent’s income is a fact-specific question. The parents may not always agree on how a source of income should factor into a child support payment. Also, parents may not always be forthcoming about their sources of income. Experienced counsel may help a parent determine how a source of income may impact a child support payment, and they may also work to help a parent identify hidden sources of income that should be included in a calculation. Are living expenses factored into a child support payment? No, living expenses are not directly factored into Texas child support payments. The Texas child support formula presumes the living expenses of each parent and the needs of the child based on the paying parent’s income. A parent may not increase or decrease the amount of child support payments by purchasing big-ticket items or increasing their household expenses. Instead, the children’s needs are presumed. The recipient parent must provide for the children with the child support that they receive, while the other parent must pay the amounts ordered without regard for their personal expenses. If a child has extraordinary needs, the recipient parent may ask the court for a support order that exceeds the calculated amount. What if there are extenuating circumstances that impact the appropriate amount of child support? When there are extenuating circumstances in a case, the parent asking for the exception must petition the court to ask for it, inform the court of the unique situation, and support their request with credible evidence. An experienced attorney for child support matters can assist the parent in making a compelling argument. What happens to child support in cases of equal custody? Texas does not have an exact formula to determine what happens when parents share custody equally. The parents may agree on how to handle the situation and what amounts to order. The court may calculate the amount that each parent would pay and offset the amounts so that the higher earning parent pays the lower earning parent the difference. If parents can’t agree, the court decides how to handle the situation. Child support is an important and personal issue. Ensuring adequate support for a child can be stressful for a custodial parent, while making sure that a child support order is accurate and practical can be stressful for the paying parent. Extenuating circumstances can make any child support case complex. All parents have the right to have child support laws applied correctly and fairly. If you have a child support case, contact Adams Law Firm. We’re passionate about helping deserving clients exercise their rights and find peace in their Texas child support case. Our attorneys understand Texas child support laws and can help you apply it in your case. Call the experienced child support and custody attorneys of Adams Law Firm today at (281) 391-9237 or reach out to us online to discuss your case.